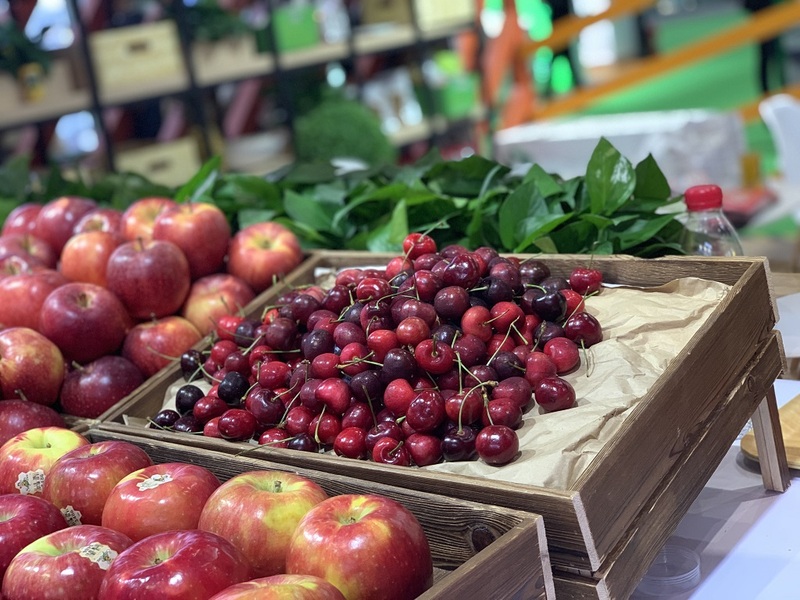 On November 4th, the first shipment to Shanghai of 2018/19 season Chilean cherries arrived at Shanghai's Pudong International Airport, marking the start of another season of Chilean cherry supply in China. 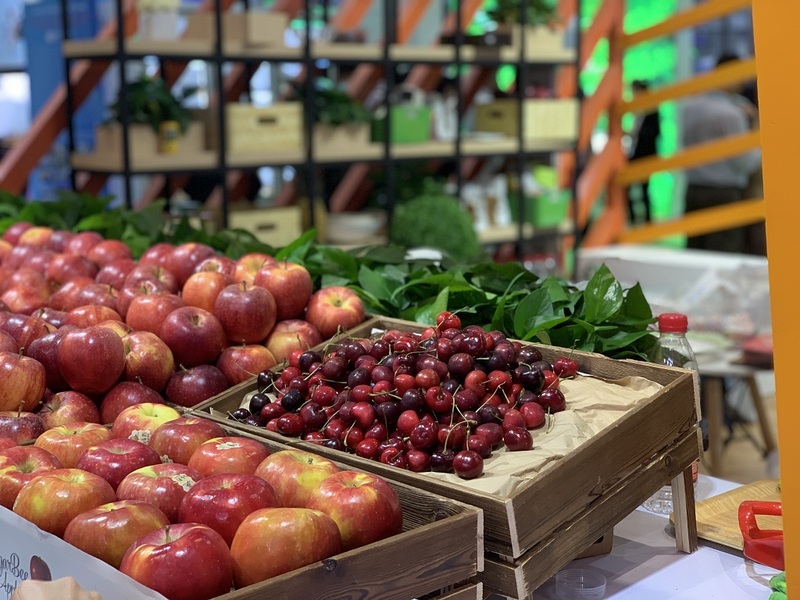 Of particular note is that the cherries in this batch were exhibited by Fruta Cloud at the 1st China International Import Expo, a large, multi-industry fair held in Shanghai from November 5 to 10—catching the eye of many attendees. In order to get a first-hand account of the arrival of this delivery, Produce Report interviewed Garces Fruit and Fruta Cloud, the exporter and the importer behind the shipment. Mr. Hernan Garces from Garces Fruit told Produce Report that all the cherries in this shipment were packaged under his company's celebrated San Francisco brand, with Royal Down, Glen Red, and Brooks as the main varieties. So far, even in the very early stages of the season, Garces Fruit has already exported around 14 tons of Chilean cherries to Beijing, Shanghai, and Shenzhen. As to the high prices of these cherries, Hernan explained that the early varieties have been impacted by heavy rains which hit some cherry producing regions in Chile last week, thus driving up the farm gate prices, especially the price for the Royal Down variety. George Liu, CEO of Fruta Cloud, told Produce Report that the price of Chilean cherries is very likely to run at high levels during this season. Since cherries in this shipment to Shanghai were the earliest ones among the early varieties, their limited supplies along with the high expectation from Chinese fruit dealers forced up the price. However, these cherries nevertheless completely sold out shortly after arriving. "The Renminbi's depreciation increases the cost in produce procurement and transportation," said Liu. "As fuel costs more, air freight also costs more, causing Chilean cherries sent by air to stand at an even higher price. So we are more inclined to choose air shipment during November and early December. After that, sea shipment will be our main way to transport Chilean cherries." 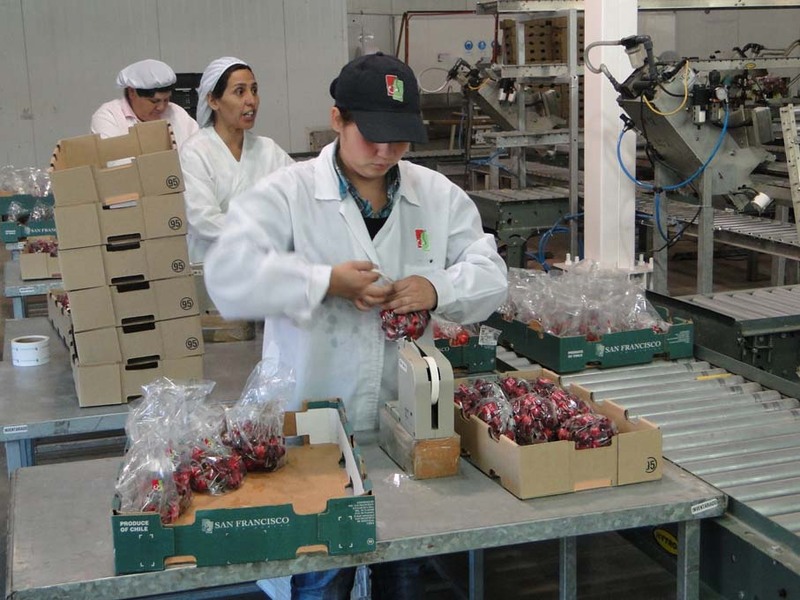 According to the Chilean Cherry Committee, the export volume of Chilean cherries for the 2018/19 season is estimated to reach 150,000 tonnes or around 31-35 million cartons, a year-on-year drop of 15%-20%. The reduced volume will be due to adverse climatic conditions. It seems inevitable that prices in China for Chilean cherries will continue to surge over coming months.